From a very young age, people are told to be conscious and compassionate towards the environment. Rohit Jain takes this teaching very serious and is founder of Women on Wings’s partner Banyan Roots Organic which means to bridge the divide between urban consumers and traditional farmers, giving health-conscious consumers easy access to affordable, nutritious food while ensuring sustainable farming for the -mainly female- farmers. Rohit was born in a village but he received formal education in Udaipur and Pune, and went on to be trained in IT. During his education, he felt deeply connected with issues of farmers, rural to urban migration, and the various difficulties faced by people in villages. 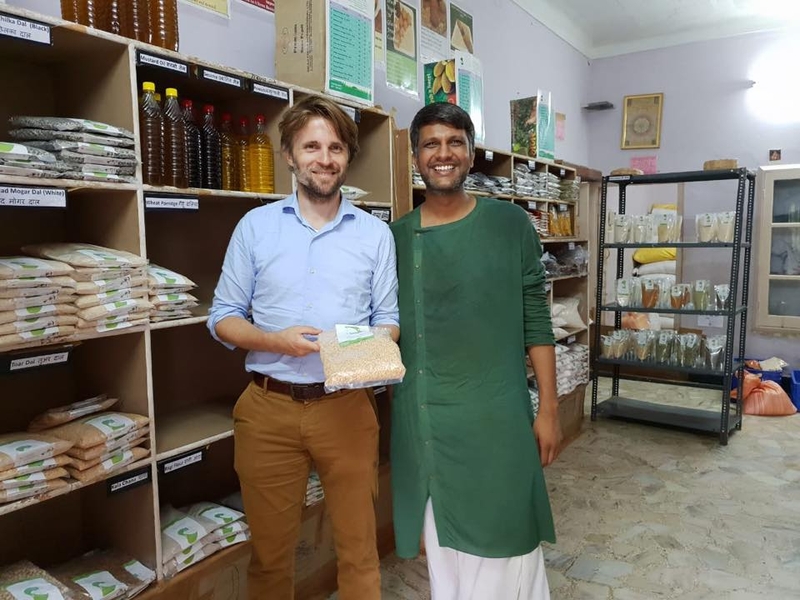 After completing his education, Rohit spent a year volunteering with several NGO’s, finding solutions to problems by understanding grassroots-level issues and the economic cycle of farmers. It was then that he developed a love for villages and villagers. Taking forward this love, he established Banyan Roots, which employs organic farming to fulfill the manure demands of the people.